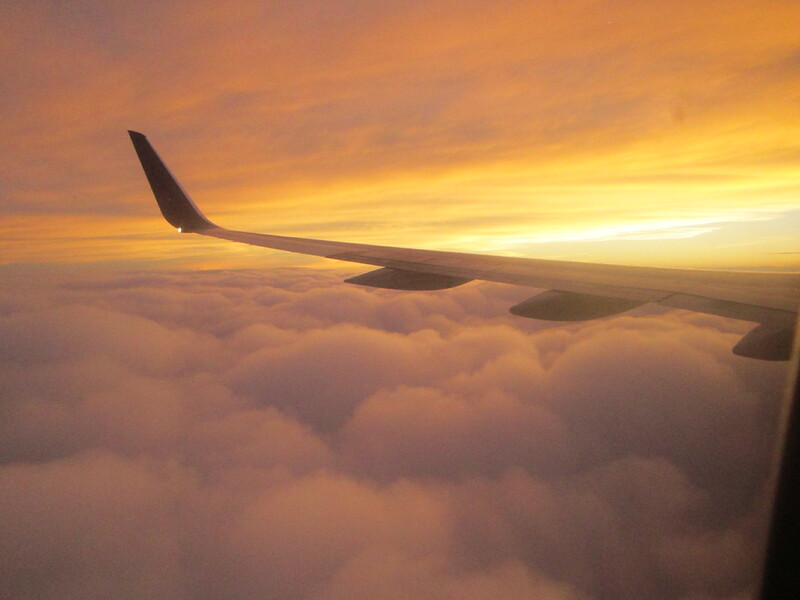 I thought I was an exception, even when my two hour flight turned into ten hours because of storms and I had an eleven month old with diarrhea, I didn’t think it was that bad. Also I was compensated a $100 travel voucher and I ❤ travel vouchers. But this trip… it was difficult. The day started off good. My girlfriend gave me a ride to the airport in Charleston and the kids were occupied by the dvd players. Got out got in and the Delta staff was super friendly and helpful with helping me get checked in and my bags checked and the child seats covered etc. Security was a breeze and we had time to spare. Its only when I go to “check-in” at the airport that i realize my phone is in my car. My ride was already 40 minutes away. She was a sweetheart and she with her 1.5 year old turned around and got me my phone through security and handed off to me by a sweetie of a pilot. Just in time to board (thankfully they were running behind with boarding). 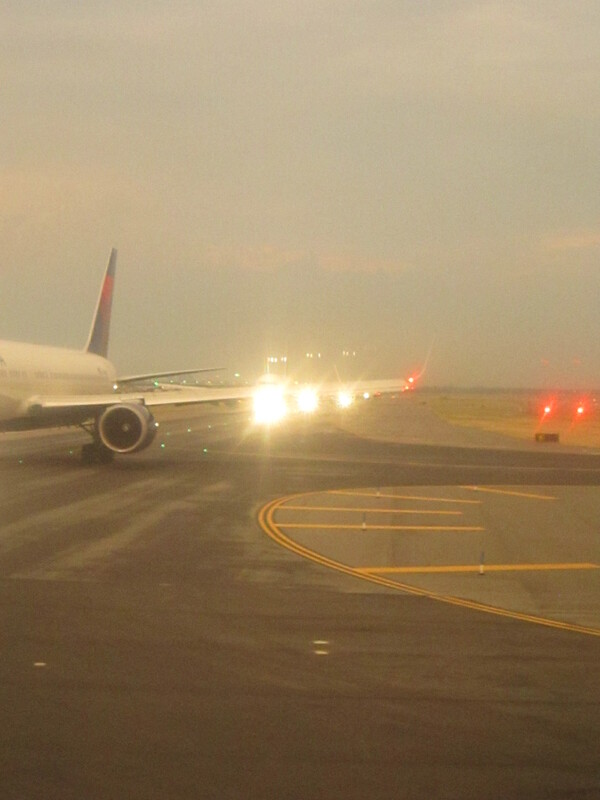 Got on the plane, got the kids settled… only to sit there for another 30 minutes waiting for weather in NYC to pass by. But if you could you’d probably make it where you didn’t miss you connection flight by only a few minutes. And when you are running a long distance with a child in a stroller and another is being drug along in a slow jog you want something rewarding at the end of your efforts. Long story shorter, we got on the next flight from NYC to Salt Lake and had our layover a few more hours. The kicker I left my phone on that flight that made me late. So I couldn’t call to tell anyone where I was or what was going on. I couldn’t reach the hotel or the car rental place to say I won’t make my reservation time. We finally got to Salt Lake a little after 11pm which is 1am in my kids eyes. My son slept the 5 hour flight, my one year old did not sleep a wink. I was falling asleep with her in my hands. When we got off we got our hotel vouchers from Delta and waited for our shuttle outside. 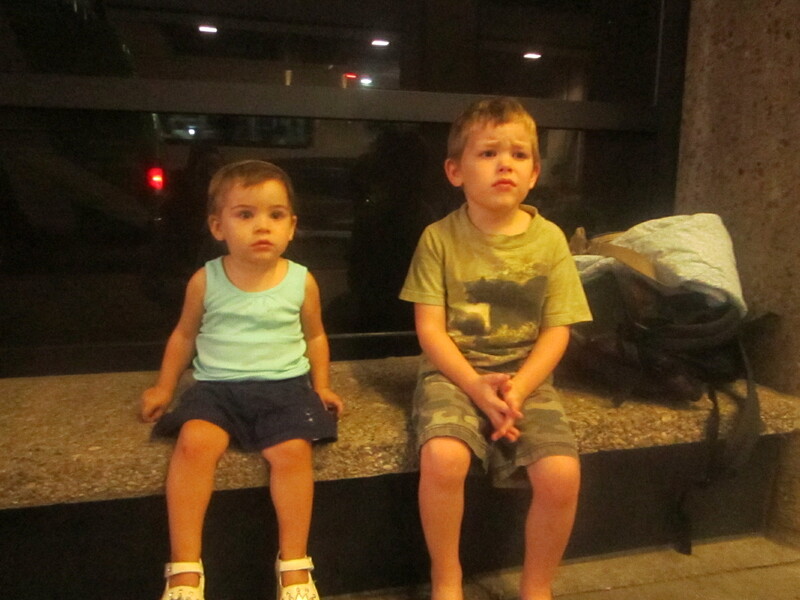 My kids waiting for the hotel shuttle. We only got to sleep for 4.5 hours before getting up and going to the airport again. We made it to Reno a little after nine, but because I didn’t have my phone things with the rental car were a little frustrating. By time we got off the rental car shuttle and into the car it was 10:30am. I just felt relief. 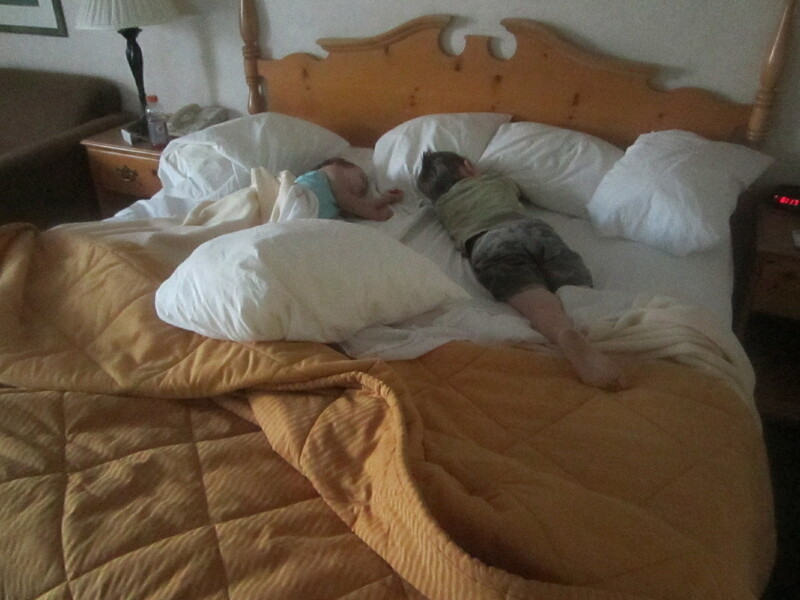 Kids passed out in the hotel provided by the airline. At the airport I made a report with the guy in baggage that I was missing my phone, and he sent it out. When we got to the house in Mammoth lakes (that’s 3.5 hours from Reno) I used a phone to get GPS tracking code for my phone (thanks “where’s my droid”) which showed me my phone ended up at the Airport in St. Louis and is currently on its way home to my house in South Carolina. Heres to hoping the kiddos do well on the overnight flight home. Wish me luck!